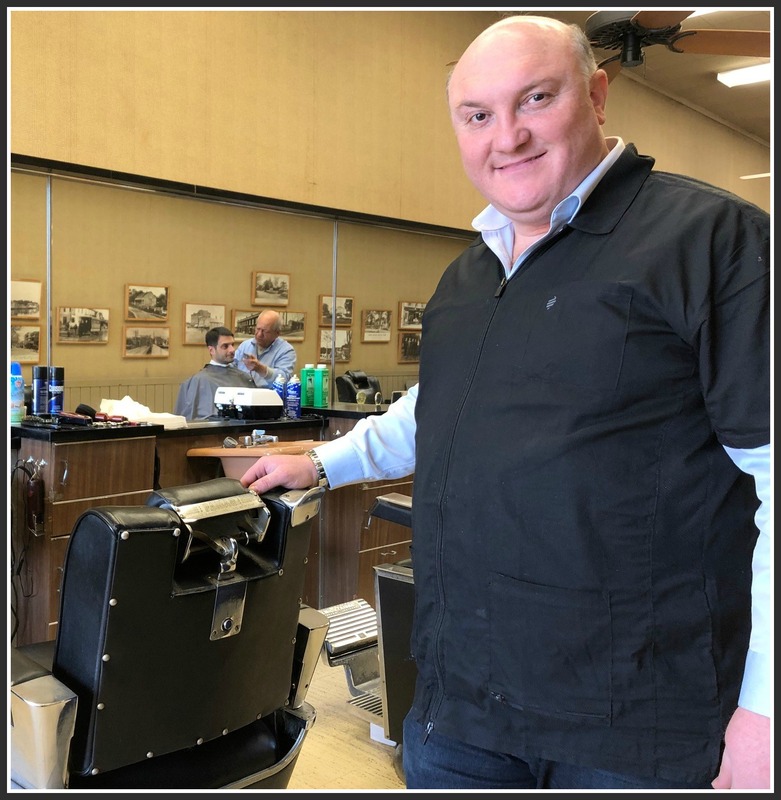 The barber shop as community gathering place — a spot where men swap stories, debate issues and tell tales, all under the wise, welcoming eye of the beloved barber — may be a thing of the past. 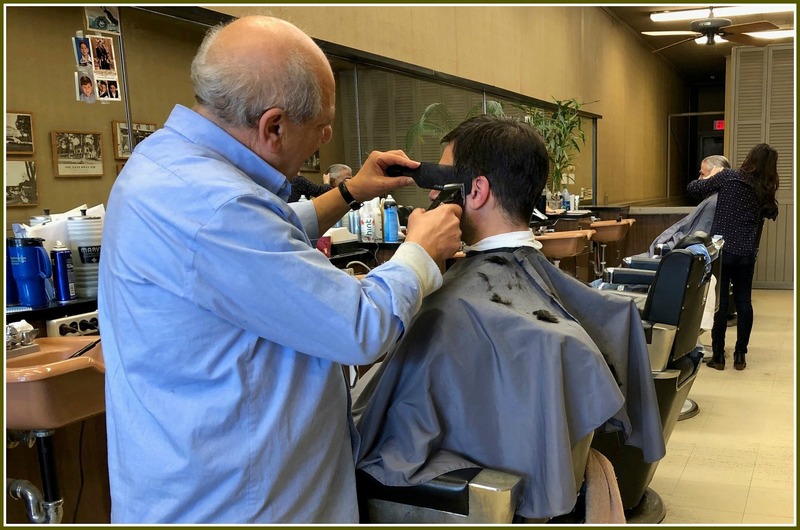 We’ve still got a few barbers in Westport — though many have morphed into “stylists” — but who has the time to sit around for an hour and yak? Hold your horses. A few months ago, 6 long-time Westporters did just that. They gathered in Tommy Ghianuly’s Compo Barber Shop. For several hours they talked about this town in the 1950s. Normally such a gabfest would have less staying power than clipped hair on the floor. But the oldtimers’ session was recorded for posterity — and arranged by — filmmaker Chuck Tannen. Now it — and those memories of long-ago Westport — will live forever. 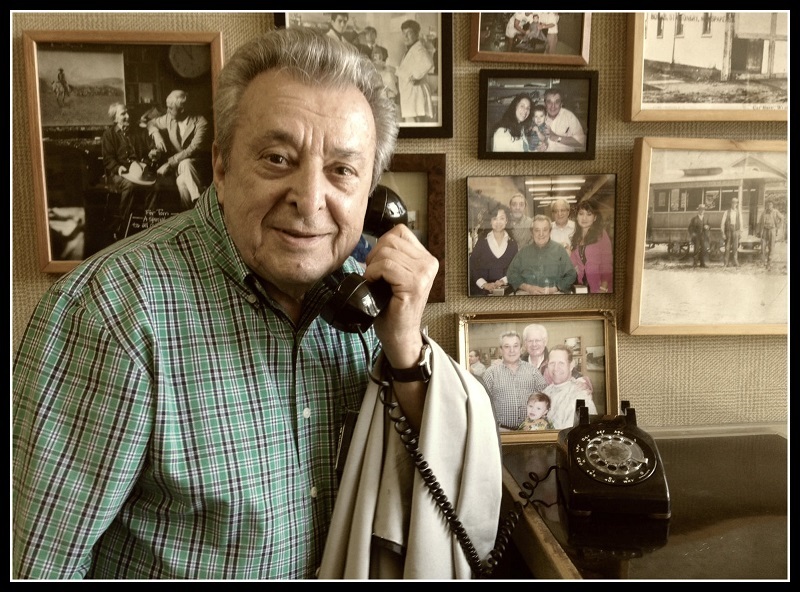 “The End of an Era — Westport in the 1950s” was Chuck’s idea. He solidified it, appropriately enough, while Tommy was cutting his hair. 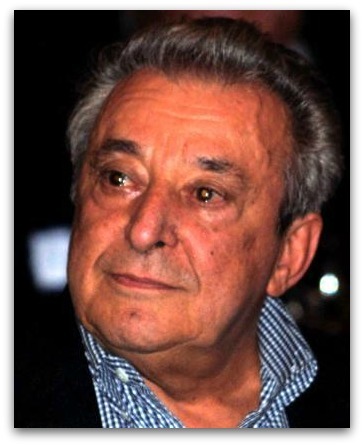 Chuck spent his career in journalism. A year and a half ago he got interested in film. He took courses at NYU and in San Francisco. When he heard the Westport Historical Society needed help converting a series of interviews onto DVDs, he swung into action. 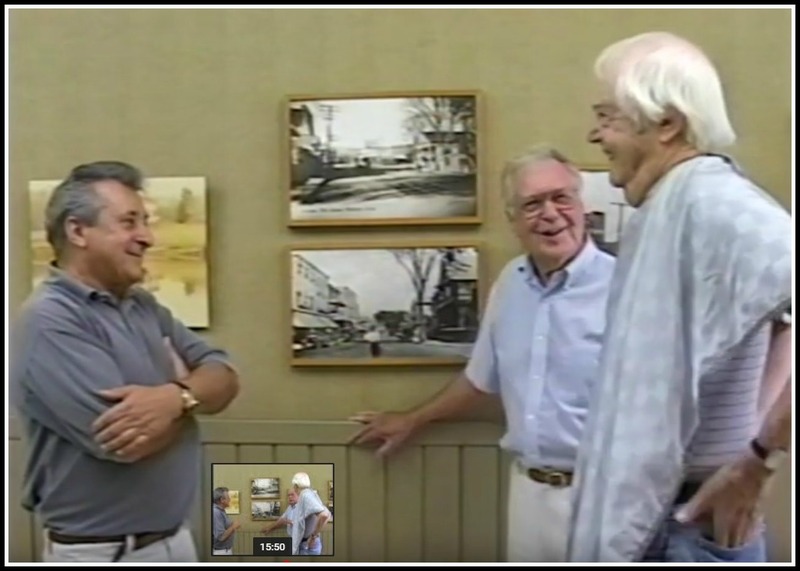 One of those DVDs included 3 very interesting residents — Ed See, Leo Nevas and Allen Raymond — talking about our town back in the day. By the time Chuck delivered his work to the WHS, Ed and Leo had died. 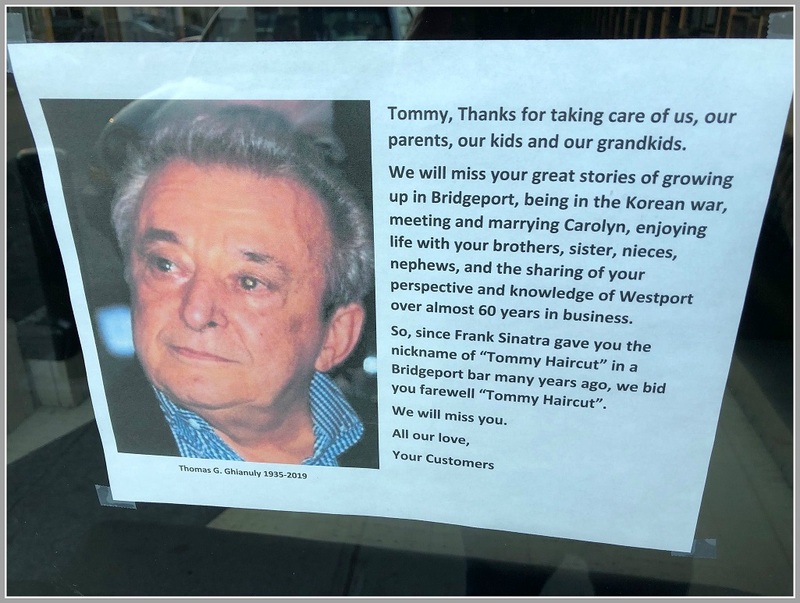 Not longer after, Chuck was telling Tommy — his barber forever, whose walls are plastered with photos of old Westport — that the town’s collective memory was fading fast. An idea took hold: invite people to Compo Barbers, to talk about town life in the ’50s. 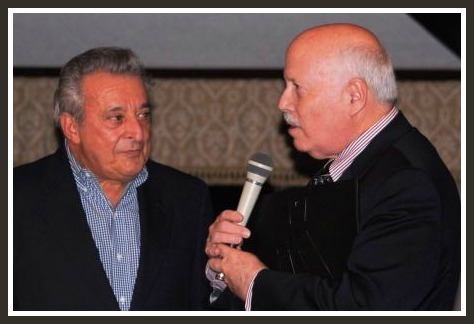 Which is how First Selectman Gordon Joseloff, former Staples sports star Vince De Pierro, artists Tracy Sugarman and Howard Munce, former disc jockey Ed Baer, and George Marks — who joined the police force in 1947 — came to Tommy’s one Sunday. They talked. A 6-man crew recorded them. Now — 5 months later — the finished product is ready to be shown. The men discuss everything from why artists were attracted to Westport, to the Y’s role as a town center, to the joys of hanging out on Main Street. Life was not always as pleasant as it seemed. There was anti-Semitism — particularly in housing. That came up during the filming — along with the story of how the “Gentleman’s Agreement” was broken. The 40-minute film premieres at the Westport Library on Tuesday, April 6 (2 p.m.) and Wednesday, April 7 (7 p.m.). Discussions will follow. Some of the “stars” will be at both showings. And after those 2 screenings? Chuck hopes his film will be shown at the Senior Center; in schools — and to any other audience that remembers, or wishes they knew, what life here was like back then.